Want to make your home beautiful and attractive? 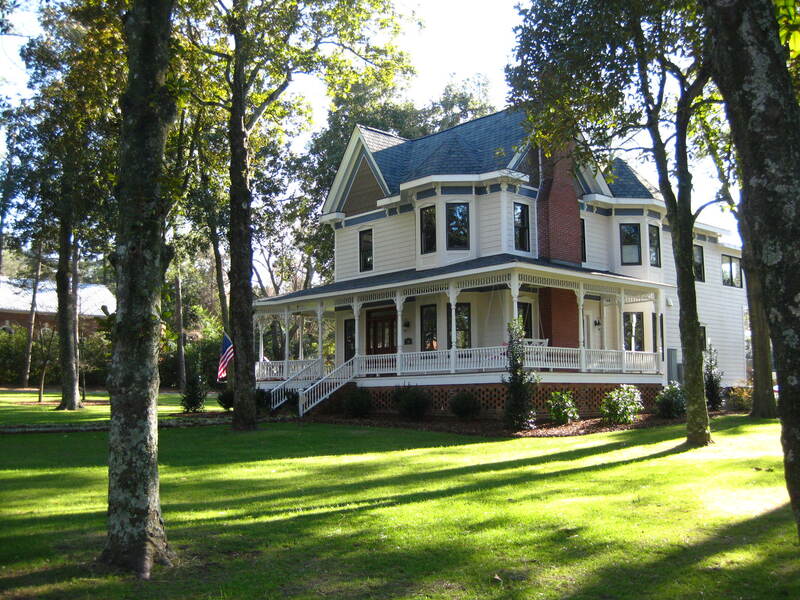 Read these tips and suggestions to make your house look amazing. Follow these simple tips and make your house look so appealing that you will love being home. Watch your house transform from boring to awesome with these easy home decor tips. Home is where the heart is. Every body feels the most comfortable in their own homes. At the end of the day we look forward to going back home where we can be relaxed and ourselves. When your home is decorated well and looks nice, it gives the people in the home a good feeling. A beautiful home can uplift moods and give a pleasant feeling to those living in the house. While furnishing or decorating your house, always plan first. Plan and imagine in your mind how you would want the end result to look like. These are some tips, you can use to beautify and decorate your house. One of the most important decisions that comes up while decorating or doing up your house is the selection of colour for the walls. The colour of your wall plays an important role and affects your mood and feelings. Do not buy the paint based on how it looks in the shop because it will most certainly look different at home. While choosing colours for your wall keep in mind the following tips. You should use a light colour as a basis of the entire room, use a medium colour in moderation and use dark colours as accents to highlight a room. The living room is the first view that a guest has of your house when he enters. The living room should make a good and lasting impression on the visitor. Living room reflects the personality of the owners. It tells if you are formal and elegant or light-hearted. If you have your TV in the living room, you should make sure to have seating arrangements around the TV. For the sofa in your living room, the piece of furniture which you can place next to it is a table. There are many types of tables which you can place here. Be careful and while selecting the table keep in mind the proportion of the room and the size of the sofa. You can also think of adding an area rug to your living room. An area rug can instantly transform the look of the room and make it attractive. Rather than having rugs in common shapes like square or rectangle, you can have a round rug. A round rug is something unique and gives a stylish look. Have a photo of your near and dear ones in the room. You can keep a picture of your entire close family and relatives including grandparents on a photo frame. If you have a group of very close friends, you can keep a photo frame which shows everybody together. If you have been on trips or vacations with your family or friends, you can put up these photographs. Every time you see these pictures, fond memories will come back to you and will make you happy. Plus, it also adds up as a room accessory! Every house with a dash of greenery looks lively and fresh. Green is a colour which is soothing to the eyes and has a relaxing effect. Keep some green plants around your house and give it a vibrant look! Artificial flowers also look great! 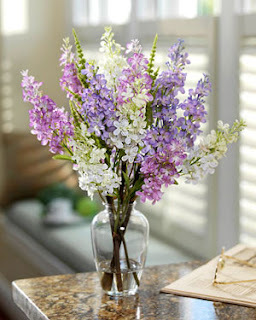 If you do not have real flowers just buy a vase of colourful and artificial flowers to make your house pretty. You should take care to keep it clean without dust! 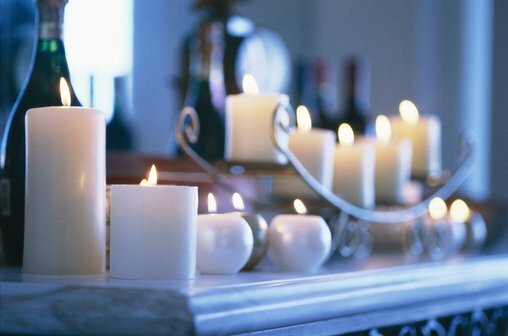 You can place scented candles in your house for a good fragrance around the house. Scented candles come in a variety of lovely colours. Also when the candles are lit, the light from candles gives a beautiful effect to the room! Hanging a beautiful painting on the wall is a great way to make your house look attractive. A lovely painting of nature is a good idea. An attractive painting often gets admiration and compliments from visitors. If you are a good artist yourself, you can put up your best painting on the wall! Personal art is unique and exclusive! Curtains add interest to a Room. A pair of matching curtains can alter the look of the entire room. A pair of curtains well coordinated with the other colours of the room can enhance its look positively. Curtains are not very expensive and curtains on their own make a huge difference. 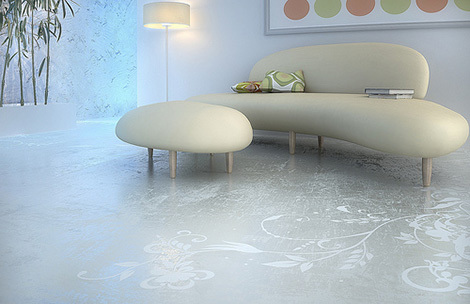 People often only think about decorating of the walls and room, but forget that the flooring too must not be out of sync! While decorating your home, try to get appropriate flooring too which will match the other colours and designs in the room. Do you have a plain ceiling fan in your house? You can transform your plain boring ceiling fan to an attractive one by decorating it. You can do it alone or ask your children to help in decorating the blades. Even putting some good stickers like the ones which glow in the dark will give your fan an interesting look.